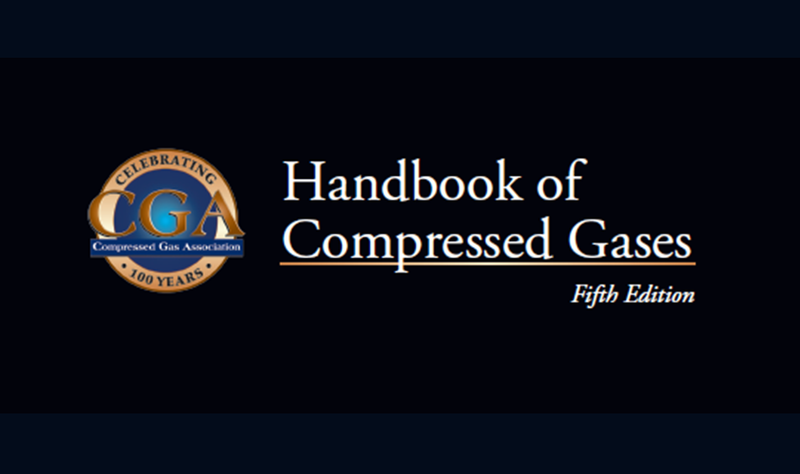 The Compressed Gas Association’s Handbook of Compressed Gases is widely recognized as a comprehensive resource of information on industrial and medical gases, containers and equipment, industry processes, and more. As CGA develops plans to transition the Handbook to an electronic format, we have launched an online survey to gather feedback from a variety of stakeholders regarding the future product’s content and functionality. The Handbook is intended to serve the needs of a broad audience including students, teachers, engineers, scientists, workers, supervisors, and managers. The diversity of people who need to familiarize themselves with the subject of compressed gases, cryogenic liquids, and related equipment reflects the pervasive role these materials play throughout our society. Compressed gases have become so widely used that we often take them for granted. Yet without them, modern life as we know it would not be possible. High purity and specialty compressed gases play an essential role in the production of semiconductor chips and other electronic components needed for a variety of devices we use in our daily lives, including smart phones, computers, automobiles, and appliances. Medical techniques involving special gas mixtures, such as those required in oxygen therapies, have achieved remarkable results. Magnetic Resonance Imaging (MRI) and low temperature surgical procedures, known as cryosurgery, also require the use of compressed gases. In the past half century, compressed gases have enabled humans to venture deep below the surface of the sea and far into space. At the same time, the fields of refrigeration, air conditioning, metalworking, food processing, plastics production, vehicular travel, and aerosol packaging all depend to some degree on compressed gases. Please help us achieve our goal of providing an information resource that meets the needs of as broad an audience as possible, by taking 10 minutes to complete our survey. CGA members, customers, and other interested stakeholders are all invited to participate. Respondents are asked to complete the survey by Wednesday April 10, 2019. We appreciate your feedback! Contact Laura Brumsey at CGA Headquarters in Chantilly, Virginia at 703-788-2757 with any questions regarding the CGA Handbook of Compressed Gases or this survey.